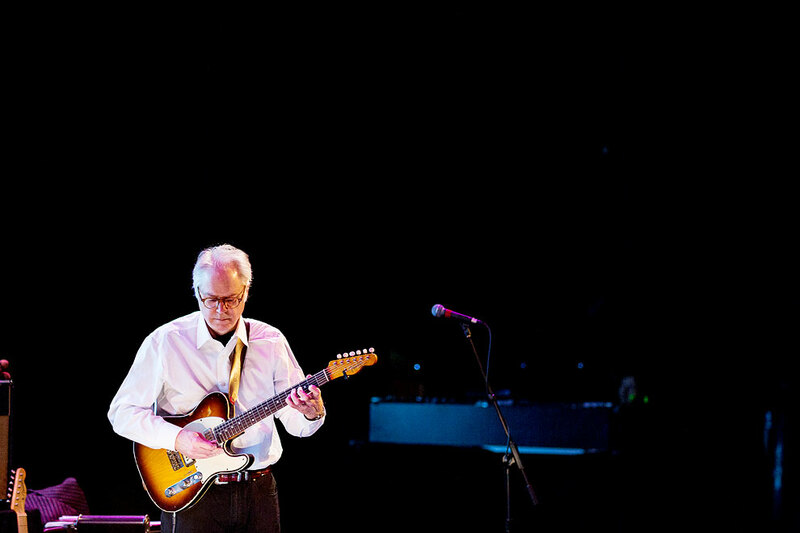 Recently had the pleasure of watching Bill Frisell play the music he composed to go with the film The Great Flood by Bill Morrison. Playing with Bill was Ron Miles on trumpet, Tony Scherr on bass, and Kenny Wollesen on drums. This entry was posted on Friday, March 15th, 2013 at 1:22 pm	and is filed under JAZZ and tagged with Jazz Photographer, Jazz Photography, Seattle Photographer, Seattle Photographers. You can follow any responses to this entry through the RSS 2.0 feed.